The Last Dance is a love story of a lifetime that will leave readers analyzing their own relationships, wondering if they have or will ever have what James and Alejandra found in a chance meet in a quiet little diner. From the days before the attack on Pearl Harbor when they first fall in love, to after the war’s end exactly four years later and on until nearly the next decade, we wonder how they will ever find each other again, and what will happen when they do. Page after page Wyatt McIntyre draws us in, teasing us with little, romantic tidbits. ….If this was their last moment together he wanted to spend it holding her in his arms. ….Alejandra quivered at his touch. Is this how it feels when dreams come true? McIntyre knows how to tell a love story. Although we know from the beginning that it will all turn out, McIntyre hooked me because I had to know how James and Alejandra met, and what it was that drove them away from each other and then what it took to bring them back together. I very much enjoyed The Last Dance and look forward to seeing more from this new author. Gillie Bowen, born in Nakuru in Kenya and now living in Loire Valley, France, traveled the world extensively as a child. She is a retired British journalist and the best-selling author of amuse-bouche (rough translation… taste tantalizer), a collection of French recipes and photographs adapted for British and American markets. Amuse-bouche is available on Amazon. What I am writing about today, though, is not French “taste tantalizers.” It is about Gillie’s second book, the story of George and Molly Hudson, brother and sister. As young children they witness the horror of a tribal castration in an African jungle. They lose their home and their family in a devastating fire. They suffer the anguish and heartbreak of their father’s betrayal. With nothing left of their childhood, they board a ship to start a new life in another country, where lion, hippo, rhino and leopard rule. At the age of just ten and eleven, they are alone, but they have each other Beneath African Skies. The author’s recounting is based on the true story as told to her by the two siblings. It is a story that takes place in 20th century Africa: hyena, crocodile and cobra attacks, gold rush mania, crater plunges, near-fatal accidents, typhoid fever and murder are just some of the ordeals they must face. It is the story of coping with death and the horrors of the Second World War: George as an RAF fighter pilot, Molly as a pregnant and lonely bride in war-torn Britain. Above all, it is the story of their survival and their love for each other. Though the story is about George and Molly, it begins many years before, around the time of their Great-Great grandparents wedding. It begins with John Hougham Hudson and Elizabeth Ann Walker of Broadstairs in England, who, while still in the bliss of their wedding nuptials, join a band of brave young people who would become the sixty-seven men and women known as the 1820 White Settlers. They leave their Kentish home in England on a small four-vessel fleet departing from Deptford in London. It is the 12th of February, 1820; their destination, Simonstown in South Africa. Quickly we move forward to 1918 when George Hudson is born in Benoni, near Johannesburg. His sister, Molly, joins him fifteen months later. Before they die, both at age 91, they help Molly’s daughter, Gillie, piece together the story of the family. And so, this is Gillie Bowen’s story. Here is my take on Beneath African Skies by Gillie Bowen. Beneath African Skies reads like fiction but all the time I knew it was a true story that started with John and Elizabeth Hudson in 1820, a young English couple who upon their marriage announced that they were going to make their new home in British Colonial South Africa as part of a British “scheme” to populate the Zuurfeld. The “scheme” was to form a barrier between the warring Zulu tribe and the people to the south. I sailed with them aboard the Zoroaster on their arduous journey full of stormy seas, seasickness and dysentery until they were dropped off in Simon Town, South Africa where they settled in huts in a country so different from the one in which they were born and raised. I then quickly moved through four generations until the births of George and Molly Hudson some 100 years later. And that is where this story truly began and the author, Gillie Bowen, started pulling me in. It seemed strange to know that Gillie was writing about her mother’s life over 80 years ago, from birth through childhood, into adulthood and motherhood and all the amazing challenges she and her brother, George, faced along the way in South Africa. I learned of places of which I’d never heard like, Kisumu, Zesfontein, Benoni, Eldoret and Kijabel, and go to others such as the Great Rift Valley, Lake Elementaita, Lake Nakuru and Lake Naivasha. Then I went to war and found myself holding my breath, wondering if George, or Molly’s husband, Boris, would come back alive. This was real life and sometimes real life can be unfair. Thank you Gillie Bowen, for this wonderful journey Beneath African Skies. It was simply… AMAZING! Check out Gillie’s Beneath African Skies website where you can find chapters from her book and photographs of the African experience, or go directly to Amazon to purchase the Kindle eBook. Deserving of Death opens with this somewhat familiar, or maybe not, line that keeps running through CJ Washburn’s head. He has worked himself into a frenzy because his girlfriend has gone missing, or so he thinks. One might say that CJ Washburn is obsessed with Stella Summers. How could he not think to check his email or voice mail or not find the note she had left in his apartment? He runs to the scene of a body dump in fear that it is her, possibly the third victim in what appears to be turning into a serial killing rampage. “Who are you?” CJ demanded of his midnight visitor. CJ’s daughter, his girlfriend, his attorney or his ex-wife. Who is the next target of this deranged killer? So… who is this Clinton Joshua Washburn, private investigator? Because of the razing he got when Bill Clinton was president, he resorted to simply CJ. Only Stella is allowed to call him anything else and even she knows Clinton is out of bounds. She calls him Clint. CJ Washburn is an ex-Tucson police officer who left the force to save his marriage, hanging his PI shingle. The marriage dissolved anyway, but the PI business still struggles along, surviving on serving subpoenas for Pima County and the City of Tucson, proving or disproving the faithfulness of spouses, and tracking down deadbeat dads. “Is he still angry?” CJ asked his daughter. When Josh does return, CJ is the prime suspect in the serial killings, not the best time, you would think, to try and patch over old wounds. Isn’t it odd how life can throw us surprises now and then? Does it have a happy ending? you might wonder. Well, that sort of depends on one’s point of view now, doesn’t it? Happiness or lack thereof is subjective and relative. Where can Deserving of Death be found? From Desert Bookshelf you can go to your favorite eBook or paperback retailer or… directly to to download to your Kindle or Kindle app. Mars Quake or Earth Quake ~ Which Came First? When I was asked to read Jon Batson’s Mars Quake, I was inclined to decline, however, my inner voice (see my blog article about my imaginary friends) told me to first check out his Amazon profile. What I found was not only the driving force behind Midnight Whistler Publishers, an independent press located in Raleigh, NC, but also a surprisingly talented entertainer. He has won the Lower Cape Fear Short Story Contest four times and has twice been picked for Honorable Mention in the Writers of the Future Contest. In addition to six novels and three short story collections, he owns bragging rights to five Hollywood produced musicals as well several CD’s and a collectible vinyl record. Jon Batson sounded so blasted interesting that I couldn’t help but say yes. Am I glad I did. When I received this book I was 25% into another. I don’t generally read more than one at a time, but out of curiosity, I took a peek at the first chapter. Before I knew it I was five chapters into it and didn’t want to put it down. I loved this book so much that I ended up putting the first book aside. It could wait. Here is my take on Mars Quake by Jon Batson. Every time Tom Matthews touches people he has memories of past lives–death, marriage, families, battles, what have you, over the centuries and beyond–until, that is, he touches Dr. Dana Wright. The very fact that there is no memory of this strange woman with a PhD in Physics and numerous awards in astronomy, is more appealing to Tom, more exciting than just about anything he’s ever experienced, at least in this lifetime. The question of what Tom’s memories, or lack of memories in the case of Dana, have to do with simultaneous quakes on Earth and Mars grabs my attention and holds onto it because, well, Jon Batson is just that kind of writer. I was confident that these two highly unrelated events would be brought together in some unusual and surprising manner that wouldn’t disappoint, just as I was sure that Tom and Dana were meant for each other from the moment they touched hands. But why quakes in the Bermuda Triangle off the coast of Florida, and the Dragon’s Triangle off the coast of China, exact polar opposites to each other on the earth, and simultaneous quakes at corresponding global coordinates on Mars? These questions couldn’t help but draw me into this fascinating tale. One of my favorite quotes in the novel was “This space for rent,” referring to the lines that suddenly appeared on Mars following the earthquake that shook everyone from Miami to Hong Kong. It was at first thought to be some kind of writing or hieroglyphics and people were coming up with all kinds of tongue-in-cheek, as well as serious, ideas as to what the message was that the Martians were trying to communicate, even being pitched on the David Letterman Show as one of his top ten lists, number 10 being a Burma Shave sign. The big question was, who was going to ride on Mars Explorer IX on the one-year trip to Mars and back to discover what these strange lines were all about and if they really pointed to life on Mars? Also, what did Tom mean when he said he’d already been there? I couldn’t wait to find out. Jon Batson is a member of the American Society of Composers, Authors and Publishers (ASCAP), and lives with his wife, Eileen, in Raleigh, North Carolina. Find out more about Jon at www.MidnightWhistler.com and/or www.TheRealJonBatson.com. Do I get writer’s block? You’ve probably seen some form of this title floating around Facebook and Twitter—author, anonymous. I sometimes wonder—to myself more than to anyone else because writers generally only have themselves to talk to—do I get writer’s block? My answer is no, by the definition above that is, at least not when it comes to my craft of fiction writing. My imaginary friends are always talking to me. If my wife hands me a birthday card for one of the kids or grand-kids and says, “write something,” then yes, I get writer’s block. When my boss says, “I need a couple thousand words on the Dung Beetle to handout at the meeting next week. Give me a draft before you go home today. Write something and knock my socks off.” That’s when I get serious writer’s block. My imaginary friends are suddenly absent, busy doing their hair or plucking their eyebrows. When it comes to the craft of fiction writing, however, whether short story or novel-length, I have no problem. That’s not to say I don’t get stymied now and then with whatever I’m working on. When I open to my novel-in-progress, I always make progress. Granted, it might not be in adding word count. If I’m stymied on where the story is going or the characters are taking on a mind of their own and ignoring my vision, or I’ve written my protagonist into a corner and can’t figure out how she’s going to get herself out, I might drop back a chapter or two and spend some time reading and editing. This could go on for a couple of hours, a couple of days or even a couple of weeks. I still consider it progress; I’m advancing toward the completion of my story. Anything I do in my craft I consider forward progress, including writing this blog. Like the majority of novelists, I am not a professional. That is I don’t make a living at it. I barely make cappuccino money. As a result there is no more pressure than what I place on myself, as long as my day job can keep me in cappuccinos. I sometimes consider what would happen if I were to wind up with a deadline from say one of those illusive publishers. Would that raise the wall, shut down the computer, snap the pencils, squash the creativity, send the muse and my imaginary friends away? If I should become the success all novelists wish for, should I be worried about the resulting pressure to produce? Should I be worried about the writer’s block? Should I tell the publisher I had a lot of help from my imaginary friends so that proper credit can be assigned? Should I be weary of what I wish for? All that worry is for another time. Meanwhile I need to get onto the Dung Beetle. I’ll drag my imaginary friend out of the bathroom, only half of her eyebrows plucked, and together we’ll make something up. My boss didn’t say it couldn’t have a protagonist and villain, a battle between the roller dung beetle and the dweller dung beetle in a mysterious pile of elephant dung on a hot, dusty day in southern Arizona, a deadly poison, a broken fly swatter, and a dark place beneath a rock. I love my imaginary friends. I sure hope they continue to love me. James Paddock’s imaginary friends have assisted him through 13 novels, including a Time-Travel Duo, and a Sabre-Toothed Cat Trilogy. They can all be found in ebook or paperback at desertbookshelf.com. Before you get into this post you must realize that not everything a novelist (writer of long fiction) says is fact, nor is everything he says fiction. Read on and decide for yourself. Wow! Could the sabre-toothed cat be real? Could these animals, believed to have gone extinct 11,000 years ago, actually have managed to survive undetected in and around Montana’s Bob Marshal Wilderness? Or could someone have developed the technology to overcome the cloning roadblocks and then by accident, or by intention, released them into the wild? But what if there were more than bones and teeth? What if there was something that was so perfect that it retained the entire DNA necessary to recreate the great and powerful sabre-toothed cat… the Smilodon? “That would be crazy,” you say? Look at the world around you. Since the late 1800s there have been attempts and moderate successes in the cloning arena, from Hans Dreisch’s sea urchins to Hans Spemman’s salamander to Robert Briggs’ frog to Steen Willadsen’s sheep to Neal First’s cow, and then Ian Wilmut’s well known Dolly the sheep in 1996, quickly followed by nearly five dozen mice cloned at the Honolulu Technique in the following couple of years. Then came the big one, the cloning of a bull gaur, an endangered wild ox, in 2001. There are now several businesses around the world that will clone your deceased pet. That’s a fact. As far as humans, there have been several highly controversial and unsubstantiated successes. But we shall not go down that road…maybe. The most important cloning effort, as far as this author is concerned, is the fully viable sabre-toothed cat DNA–extracted from an almost perfectly preserved Smilodon specimen–discovered by Aileen Bravelli in the La Brea Tar Pits in southern California in the early nineties. It was following that quiet discovery that her merger with Victor Vandermill took place. It was he who had the money and the wherewithal to build Sans Sanssabre in the mountains of Montana where he could privately pursue the recreation of the big cat without a lot of government big-nose interference. If Mr. Vandermill had kept it all quiet then all would likely have been fine, however, his greed for recognition drove him to hire a writer to document the successes of his company. If only he’d known a little more about Zechariah Price before he’d brought him on board, or maybe even a little more about his own employees, he’d likely be alive today. I’m getting far ahead of myself. That’s a sequel or two down the road. What you want to know right now is how did these sabre-toothed cats get to the point that Montana cattlemen are becoming concerned about their livestock? Oh, and what did I mean by the word ‘maybe’ three paragraphs back? Somewhere in this post fact leads into fiction and the novel “Smilodon” begins. A seven hundred pound, nine-foot animal which can appear out of the snow, grass, low-lying bush, or even thin air, kills a man with one bite and carries him off, into the forest, like nothing more than a rabbit. What does the company name, Sans Sanssabre stand for anyway? sans – \ˈsanz\ /sænz/ Without. sa•bre – \ˈsā-bər\ /ˈseɪbə(r)/ A heavy sword with a one-edged, slightly curved blade. Sans Sans•Sa•bre (ˈsanz ˈsanz sā-bər) Without, without sabre. Having second thoughts about that next camping trip to Montana? Trust me, it’ll be fine, but make sure you’re watching your back. In addition to his suspense sci-fi, Smilodon, James Paddock has two sequels to fill out the trilogy. They can all be found for your favorite ebook reader or in paperback at desertbookshelf.com. I have to say I really enjoyed reading Heir to Power by Michele Poague. The beginning seemed a little slow with trying to figure out who these very tall people were–Gentle giants, one might call them, the Survinees of the colony of Survin–and in what time frame they were living, and with sorting through the various characters with names I had a hard time pronouncing in my head, like Isontra, Jettina, Kairma, and Naturi. Then I found a Q&A on the author’s website that provided the phonetic spellings. It has since disappeared. That was a great touch, Michele. Any chance of it returning? Several chapters into the story the author dropped a hint and it suddenly dawned on me where it was going and why she refrained from providing details in the beginning. She wanted it to unfold slowly, give the reader time to digest and assimilate the setting and relationships, and that she did very well. Once I picked up where it was heading, or thought I did, I was both content to wait and anxious to find out how these wonderful people became who they were. What was going to entice them to venture from their mountain? What was going to entice them to venture from their mountain, and once they did, would they ever be the same? How much of their innocence would be lost? Would the sacrifices be worth the gains in unknown, to them, technologies or would they be invaded by greedy entrepreneurs? I wasn’t sad when it ended because I already knew there was a second book, Fall of Eden. I have been captivated by these gentle people in what seems like a very gentle time, quite foreign to what we know today. I can’t wait to read Fall of Eden. I know Below Zero is not CJ Box’s latest novel, but it is the latest one I’ve read and I am just as riveted as I was with all the rest. Joe Pickett and his family, Marybeth, Sheridan and Lucy, continue to burrow into the hearts of CJ’s readers. Joe, a Wyoming game warden who often finds himself on the disgruntled side of either the director of the Wyoming Game and Fish, the Wyoming governor, one or more county sheriffs, or his wife, finds he must take a leave of absence to investigate text messages Sheridan is receiving from someone calling herself April. We, CJ Box’s loyal readers, believe that April, their adopted daughter, was killed six years before in Winterkill. We are immediately pulled into the story because we, along with Joe and Sheridan, can hardly breathe at the thought that April might be alive and is reaching out for help. We have no choice but to force ourselves into the truck with the two of them as father and oldest daughter head off —despite Marybeth’s concern for Sheridan’s safety, and Lucy’s anger at not being included—to find and save April and bring her home. Being busy with my own writing and research, I usually find it difficult to hold my attention to a story I’m reading, no matter the author. With Below Zero (or anything CJ Box writes) I have a hard time leaving it to return to my own work. He keeps me engaged and rooting for the heroes, often as in the westerns and mysteries of old, wanting to yell out, “Look out behind you!” or “Quick! Hide!” There are times I want to punch someone in the nose, or worse. Sometimes that someone is Joe Pickett himself when he doesn’t see the obvious. Of course we can’t forget about Nate Romanowski. Am I the only CJ Box reader who loves Nate Romanowski? A Joe Pickett adventure would not be complete without the .454 Casull-carrying falconer and fugitive who is determined to do whatever it takes, legal or not, to protect the Pickett family. I am writing this review before finishing Below Zero because, frankly, I don’t want to inadvertently give the ending away. Do Joe and Sheridan find the girl claiming to be April, alive and unhurt? Is she April? If so where has she been for six years? Why hasn’t she made contact earlier? What unlawful act does Nate Romanowski commit in the name of the Pickett family’s friendship? Do we remember why Nate feels he owes Joe his lifelong gratitude? CJ Box keeps the stories going, book to book, year to year. I can’t wait to watch Sheridan turn into an adult. What further tribulations do she and Lucy have down the road? CJ, don’t ever quite writing while I’m still around. Through a series of small errors and oversights – a missed phone message, an unlocked high-security door, a lax in protocol, a falling purse – eight-month pregnant Annabelle (Anne) Waring unknowingly stumbles into her husband’s time-travel experiment. Readers of Before Anne After will find Anne awakening in a 1943 Charleston Navy Shipyard barracks with no memory of how she got there. Her existence and her sanity become questionable. The sailors in the barracks, the nurses at Roper Hospital, and the sight of 1943 Charleston, South Carolina leads her to believe she has gone crazy, that what she remembers is a society she is making up in her head. Is she a physic, a fore-teller of the future, or just plain loony? And where is her husband? If not for her newborn baby and a Charleston police officer, she would certainly have checked herself into the funny farm. Her doctor, alias German spy, learns before she does that she is not only a time-traveler, but a highly educated woman in the field of nuclear science and World War II history. The days, weeks and then months drag on as Anne attempts to deal with the craziness in her head. Then, thanks to a common thief, the truth presents itself and Anne comes to the conclusion that she has jumped back 44 years for a purpose. Does it have to do with Adolf Hitler, or the Philadelphia Experiment, or a possible meeting with Robert Oppenheimer, the Scientific Director of the Manhattan Project? Whatever it is she is certain there is a reason and she will not be able to return home until it is accomplished. …science fiction, nor is it a traditional war story or fantasy. In a way it is a love story that takes the reader on a science fiction journey down a wormhole, keeping them on the edge of their seats with twists and turns that will leave them breathless from chapter to chapter. Will Anne Waring ever get her and her infant daughter, Elizabeth Anne, home to her husband, or will she remain trapped in history with the shy and protective Charleston police officer who has fallen in love with her? 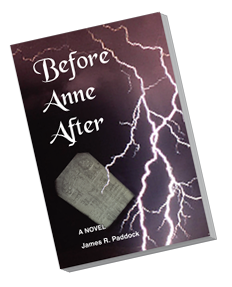 Before Anne After is available in paperback and eBook. Purchase Now! While southbound for home at the end of our vacation this last August, we passed through Butte, Montana, the city in which I was born and from where have come some strange and cool characters. Has anyone heard of Evel Knievel or Martha Raye? As I stood at the historic marker and snapped the photographs that created the image above, I thought about the scenes from my novel, Elkhorn Mountain Menace (Angels in the Mist), which took place along several of Butte’s city streets and local businesses. When I first began writing the story of terrorism in Montana, I had no intention of carrying the plot from Helena over to Butte, but there it was. Trevor was chasing after the terrorists who were chasing after Natasha, none of whom registered the view pictured above as they rocketed into Butte, descending from Elk Park into the old city. It wasn’t I who sent them along that route. It was Natasha who decided that she needed to get away after discovering that her home had been invaded by strange men speaking an Arabic-like language. I recall being rather surprised at the turn of events. But really, should there have been any surprises at all? The people Natasha ran to Butte to see, who she was sure would provide her safe haven, were her cousin and his wife. I knew this would be the case because my cousin and her husband, a couple of very cool characters, live in Butte, coincidentally on a street very near Natasha’s cousin. Is this really a coincident? Of course not. I have great respect for my family in Butte and know, without a doubt, that if they were placed in the same situation as Natasha’s cousins, they would act in the exact same way. I knew my readers would love them so I designed the characters in Elkhorn Mountain Menace after them. That ponders a question I’ve sometimes received at book signings. Who do we, novelists, use for character inspirations? I like to say that the cool characters we love, and for whom we cheer, come from friends and family around us and people we respect. Certainly Uncle Joe won’t necessarily see an exact copy of himself in my hero, but he might see his laughing blue eyes. Aunt Myrtle might discover I’ve used her habit of tugging on her ear when she tells a white lie. Cousin Rebecca might notice her talent at number puzzles. Those other not so cool characters, those dastardly devils who cause our protagonists untold grief, certainly come from somewhere else, like the next door neighbor who lets his dog bark all night and who parks his rusting ‘64 VW on blocks in his front yard. Oh, wait a minute. That is Uncle Joe. Maybe he won’t notice. In summary, our cool characters are built from people around us. They are those we know and those we observe in our daily lives or on the screen, real and fiction; bits and pieces of them all. Sometimes we get Clark Gable. Sometimes we get Frankenstein’s monster. Sometimes we might even get Aunt Myrtle without realizing it. When we do realize we’ve used Aunt Myrtle, we need to be sure to mention her in the acknowledgements, along with Uncle Joe’s blue eyes. From where do your cool characters come? Family? Friends? Sitcoms? Saturday night down at the corner bar? The guys at the carwash? Everyone would love to know.